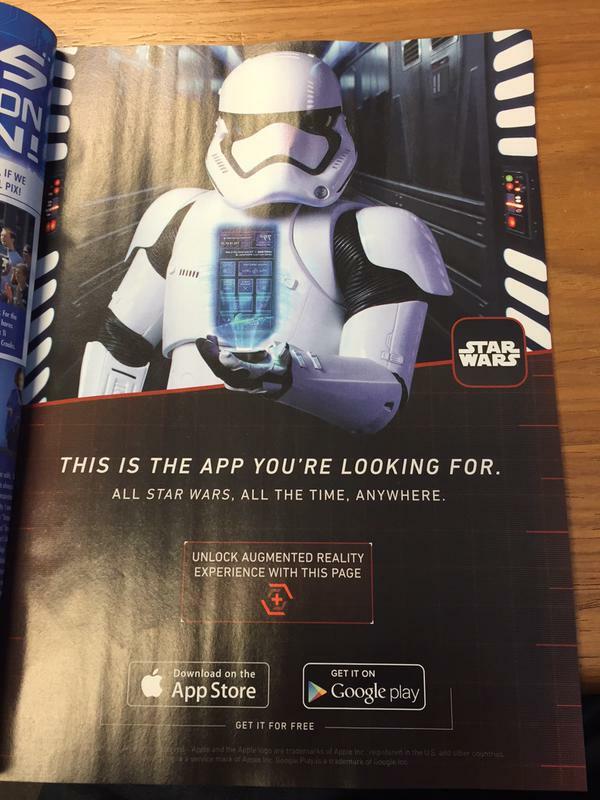 Star Wars: The Force Awakens’ First Order Stormtrooper in Magazine Ad! We have no idea what app this ad for. The one thing we do know is that that the First Order has aspirations for fame. Supreme Leader Snoke is down for national exposure. Neil Kleid found this and shared it on Twitter. So we can certainly rule out Topps Star Wars: Card Trader as the culprit.